Just curious, can't seem to find a definite answer, as googling "dot1q ethernet" is pretty ambiguous. Is VLAN Tagging via 802.1q possible over regular ethernet links, or is this restricted to fastethernet and above? What, in general, are dependencies of dot1q trunking? I've been looking at gear and playing around with some at work, and some routers don't run the encap dot1q command....and I figured it was the IOS version, but I'm not sure. What should I look for to make sure dot1q is supported? More generally, what are the base requirements to run dot1q, and subsequently, inter-VLAN routing, which is what I'm getting at in the first place. dot1q is an ethernet-centric idea. You cant do dot1q in a T1 or something like that. So the first thing you need is an ethernet environment. 10 meg ethernet can support dot1q. Many ethernet interfaces on older routers are 10 megabit. 100 and 1000 can too. That being said, VLANs are a Layer 2 idea and they separate out networks, so to get the VLANs to communicate with each other, you need a Layer 3 device. This can be a router or a L3 switch. The router/L3switch takes packets (it operates at layer 3) and routes them to the other VLANis f that is their destination. For example, create 2 VLANs on your L2 HP switch (or anyone, including cisco), then tell a 2610XM's FE that it is part of those VLAN/subnets. It will send packets back and forth. This is called Router on a Stick. The way most people do it nowadays is to just use an L3 switch. BTW, Cisco used to have a proprietary method of VLANning called ISL. It's on most older routers but deprecated in newer machines. It's for only-cisco networks. 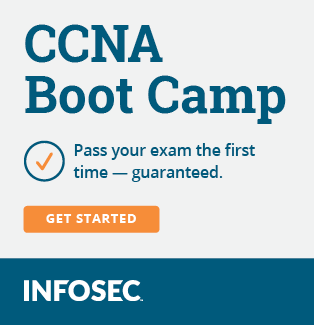 I believe it's still part of the CCNA exam. You can do QinQ or 802.1q tunneling to extend your layer 2 Ethernet between two sites. What about routers? Can only certain IOS versions support it? And still run over 10Mb links? I have extensive knowledge of vlans and how they're configured, and that they're an ethernet concept. I understand all that, but whenever I get out of the sim and try to configure a device, I find out that specific router doesn't support dot1q for one reason or another. I'm just trying to do router on a stick, and to do it properly, a dot1q trunk to a router is required. Instead of taking chances with the hardware I purchase, I'm asking what I should look for to ensure dot1q is supported. but whenever I get out of the sim and try to configure a device, I find out that specific router doesn't support dot1q for one reason or another. Which sim and which router are you referring to? I'm not sure when the software changeover occurred to allow dot1q on 10meg (translation - I don't care enough to actually go look it up ), but yes, older software will not support dot1q on the slower links, and newer will. 802.1Q encapsulation is now available on the built-in 10BaseT Ethernet interfaces of the Cisco 2610, 2611, and 2612 with Cisco IOS software 12.2(2)T and subsequent releases. Although this feature has been available on the Cisco 2600/3600 series since the release of Cisco IOS 12.1(5)T, support was previously limited to Fast Ethernet interfaces only. 802.1Q is not supported on any other Cisco 2600/3600 series 10BaseT Ethernet interface. The 1720 routers are the only routers with 100Mb Fast Ethernet interfaces that do NOT support trunking. I've found that link a few times, but not tonight. Thanks! That link is exactly what I wanted. I don't remember which router models specifically I was using when I ran into problems, but I figured it was more an issue with the IOS version than the router itself, and the routers I traditionally have access to are in a "junk" closet, since they've been retired from service, so the IOS versions are probably a bit dated. Thanks for the help! This will help a bunch. Okay - sorry to drag this up again but I got home from holiday and I've been able to get more information specific to my situation. System image file is "flash:c2600-i-mz.123-22.bin"
cisco 2610 (MPC860) processor (revision 0x203) with 28672K/4096K bytes of memory. As you can see from the above, its a 2610 with an integrated 10BaseT Ethernet port. 802.1Q encapsulation on 2610, 2611, and 2612 built-in 10BaseT Ethernet ports is available starting in IOS 12.2(2)T and all supported subsequent releases. As you saw in my router specs, I'm running IOS 12.3. According to the quotation above, I should meet the requirements. Yet, when I try to run the command, still a no-go. Now, I've tried ever since I regained access to the router to pursue different IOS versions (still a weak point for me) and I read somewhere that perhaps the "ipbase" version was required, which is a more feature-rich IOS version. Now that you know what I'm running, see anything I didn't? You need at least an IP Plus feature set. The i in your IOS file name means it's IP Routing feature set. An s means Plus, so an is in the name would be IP Plus feature set (or IP Routing Plus). A j means Enterprise, etc. This where the link to the Cisco Feature Navigator comes in handy -- and the Cisco Partner Central IOS Packaging PDF (near the end of the doc) to decode the old file names. Another thing I see here is that you're trying to apply the encapsulation directly to the interface. What you want to do is create subinterfaces for each vlan and apply the settings there. You won't apply any configuration except for "no shutdown' to the actual interface in this case. I threw that together too hastily and didn't realize what I was doing when I was trying to show you my problem. When running encap dot1q, I'm normally in subinterface mode. It is there that I get the error message. I've done inter-VLAN routing a LOT in other labs and in sims, so I know better, just was too quick to get it copied and pasted in my post. Thanks for pointing it out, though. Keeps me sharp.